Winton’s line of eCNC mandrel tube benders are now available with an optional serpentine bend head. The low profile bend head provides the necessary clearance required for bending a serpentine profile.Both the swing arm that supports the clamp die and pressure die stage are designed to allow a serpentine bend to clear the dies as the dies move in and out. The serpentine bend head also includes software features for making back to back (serpentine) bends. The figure below show the PC interface with a check box to let the controller know that a serpentine profile is being programmed. When the "serpentine" check box is active in the Window screen above, the controller automatically adjusts for the necessary clearances to form a serpentine profile. 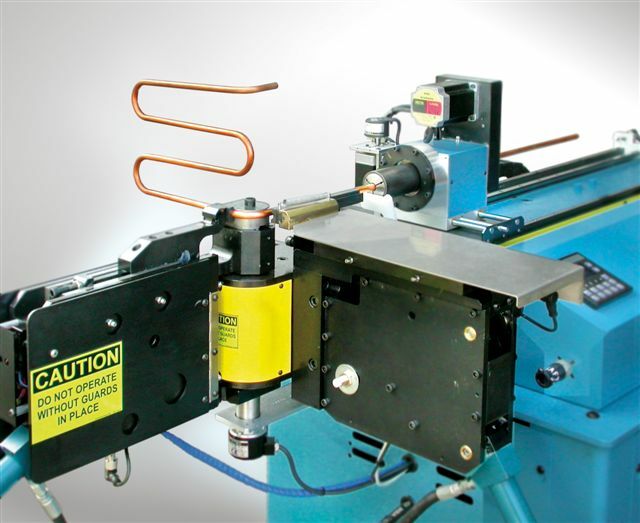 All eCNC tube benders are all 3 axis CNC tube benders with the capability of making mandrel bends. Other options include a PC interface for programming, a STEP file converter for reducing programming errors, hitch feeding, and XYZ to LRA conversion. 21376-Vserpentine from Winton Machine on Vimeo.